Over�Malta, the CR.42 encountered Hurricanes for the first time on 3 July 1940. 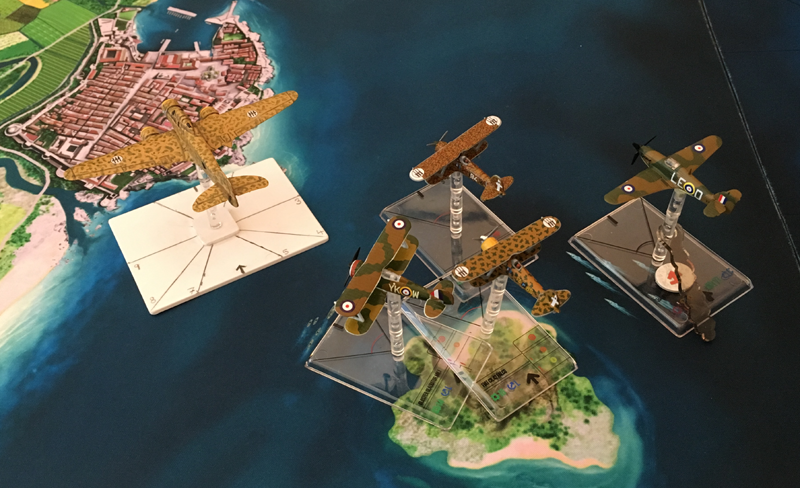 That day, Flying Officer Waters shot down a Savoia-Marchetti SM.79 Sparviero (Sparrowhawk) bomber five miles off Kalafrana, but he was soon attacked in turn by the escorting�Fiat CR.42 Falchi�who badly shot up his aircraft. 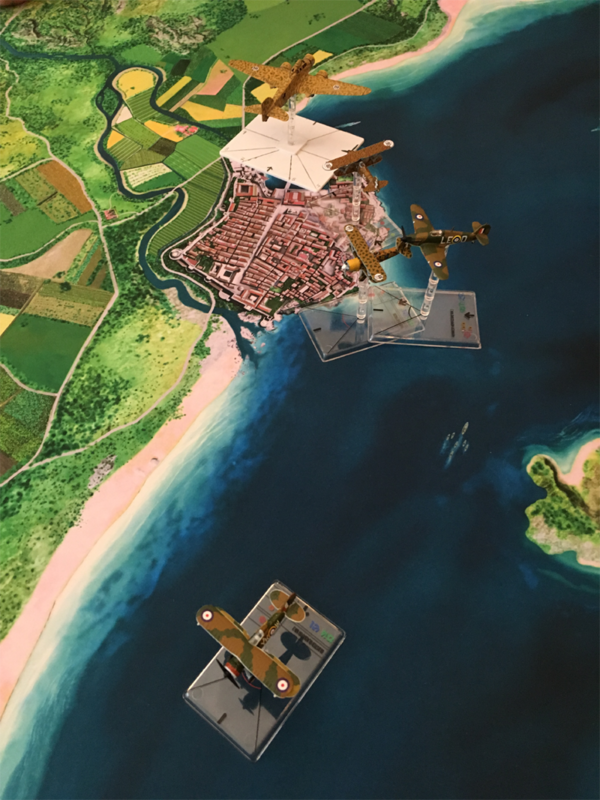 Waters crashed on landing and his Hurricane was written off.�The Hurricane pilots soon discovered that the Italian biplanes could easily outmaneuver their aircraft. Pilot Officer Jock Barber remembered: "On my first combat, the 9 of July, I attacked the leader of a�Squadriglia�of Falcos, while Flight Lieutenant George Burges attacked an SM.79 bomber. When I shot the CR.42 at a range of 100 yards, he did a flick-roll and went spinning down. 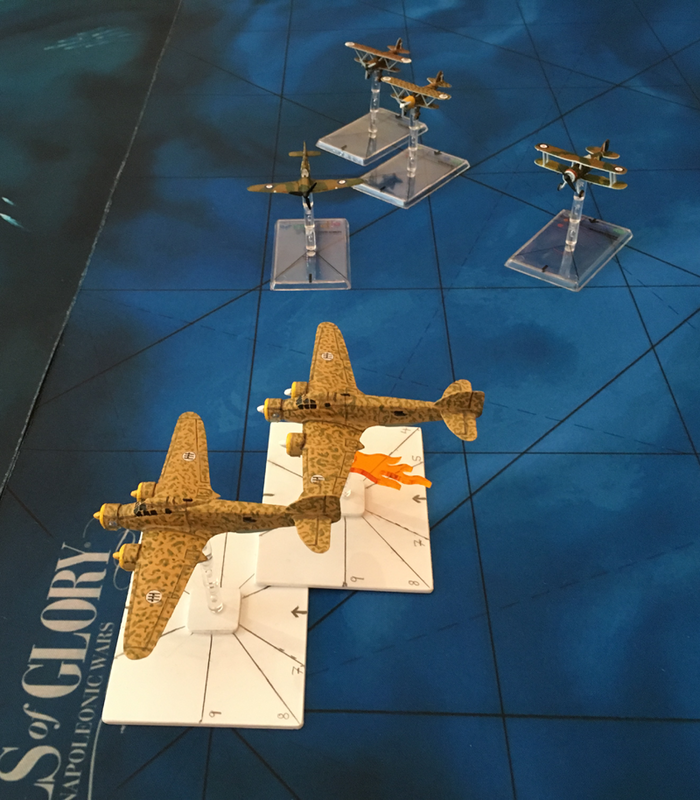 I found myself engaged in dogfighting with the remaining CR.42s. 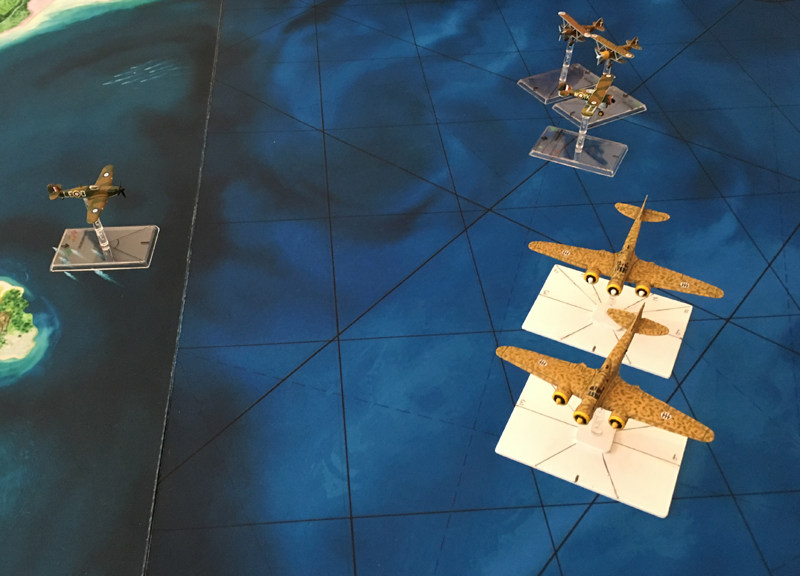 This went down to about 10,000 feet; by then I had used up all my ammunition without much success, although I am convinced I got quite a few strikes on the leader in the initial combat. 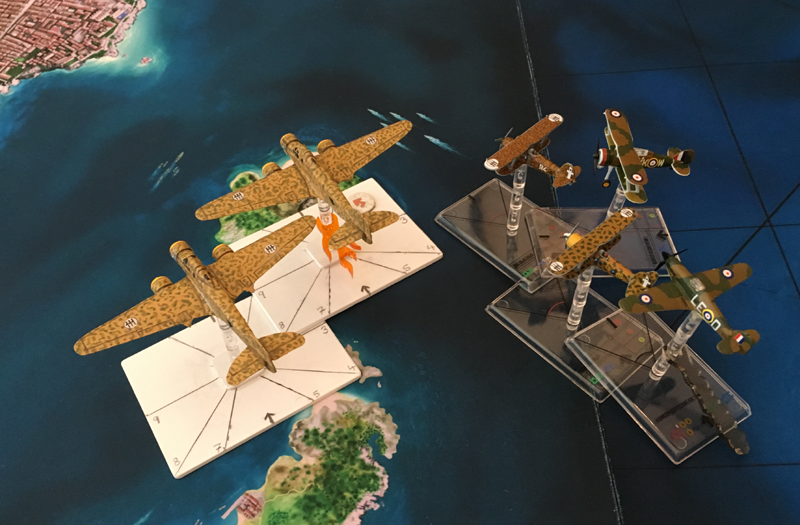 I realized pretty quickly that dogfighting with biplanes was just not on. 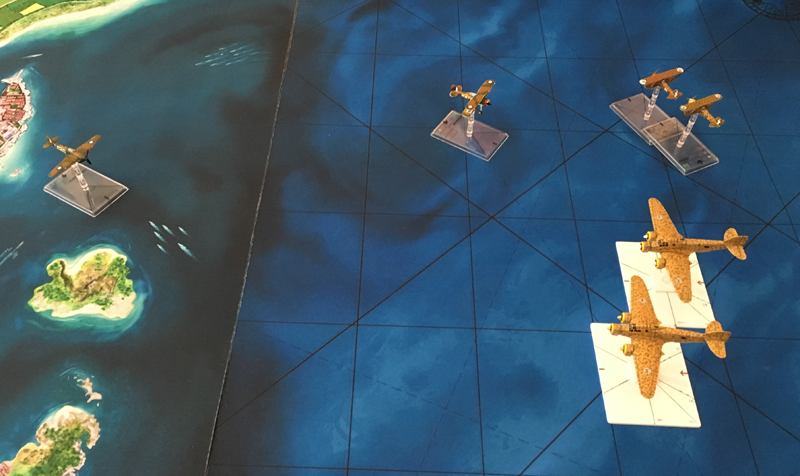 They were so manoeuvrable that it was very difficult to get in a shot, and I had to keep diving and turning to keep myself from being shot down. George had by this time disappeared so I stuck my nose down and, with full throttle, was very thankful to get out of the way." Pilot Officer Sir Price had escaped from his Italian captors and was smuggled through France and Spain to Gibraltar. On The Rock he boarded an aircraft carrier on its way to resupply Malta. On deck were a few old but precious Hawker Hurricane Mk.I's destined to be flown off at maximum range to reinforce the RAF on Malta. Sir Price was given one of these Hurricanes. 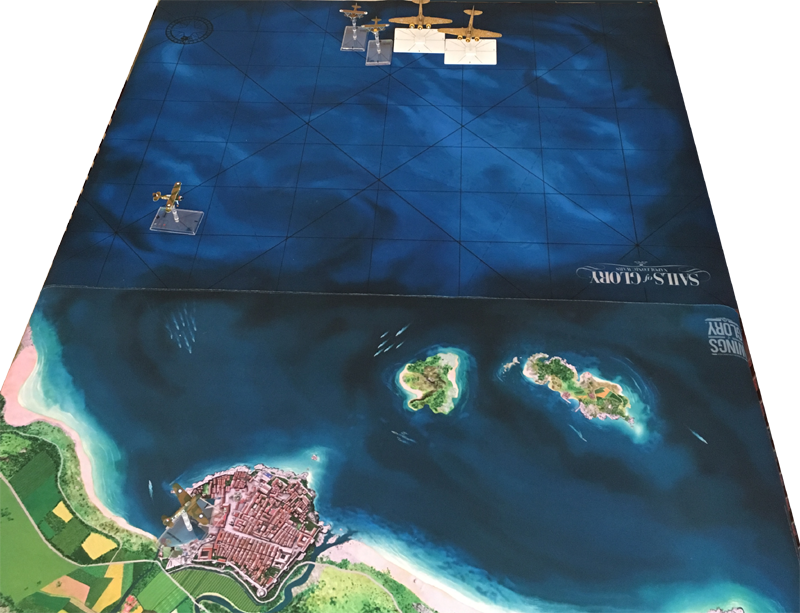 Sir Price had just landed at Luqa, his Hurricane was being refuelled when a telephone call announced that RDF had detected incoming bandits heading toward the Grand Harbour. Cholmondeley Featherstonehaugh ran and jumped into his waiting Gloster Gladiator and took off. Sir Price grabbed a bacon sandwich ran to his Hurricane and followed Cholmondeley into the air. 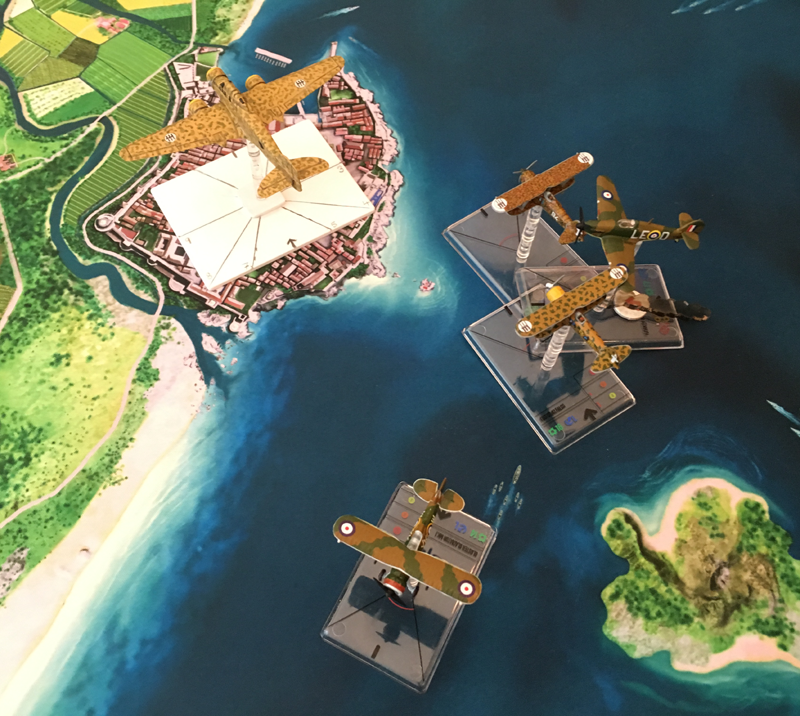 The bandits that had been detected on RDF were a four-plane formation from the Regia Aeronautica's squadriglia d'aquila led by Capitano Vitello Tonnato. It consisted of two Savoia-Marchetti SM.79 Sparviero (Sparrowhawk) bombers escorted by a pair of Fiat Cr.42 Falco (Falcon) fighters in close formation. As the italians approached Malta, Cholmondeley Featherstonehaugh was already out over the sea waiting for them. Sir Price was catching up fast, but he was still over the harbour. Cholmondeley shouted "Tally Ho" and headed his Gladiator at the two CR.42 fighters in the hope of distracting them. Sir Price, still a fair distance away, headed for the bombers in the hope that his eight machine-guns would do good work. Capitano Vitello Tonnato signalled his wingman Tenente Vittorio Gambetta to climb in order to avoid the risk of collision. Cholmondeley turned in, taking the Falcons by surpise and got of a good burst into one of the. Sir Price and the bombers continued to close. Primo Tenente Silvio Machette turned the bombers away from the attacking British fighters, perhaps in the hope that his rear gunners would get a good shot. This didn't worry Sir Price who continued to close the distance. Tonnato and Gambetta turned their CR.42's tightly and managed to get a burst into Cholmondeley which wounded him. Primo Tenente Silvio Machette climbed his Sparviero and ordered Sottotenente Modena Maserati to tighten the formation. Cholmondeley performed a sharp turn and opened fire on Maserati's Sparviero, a lucky shot which caused flames to start pouring out from the bomber. 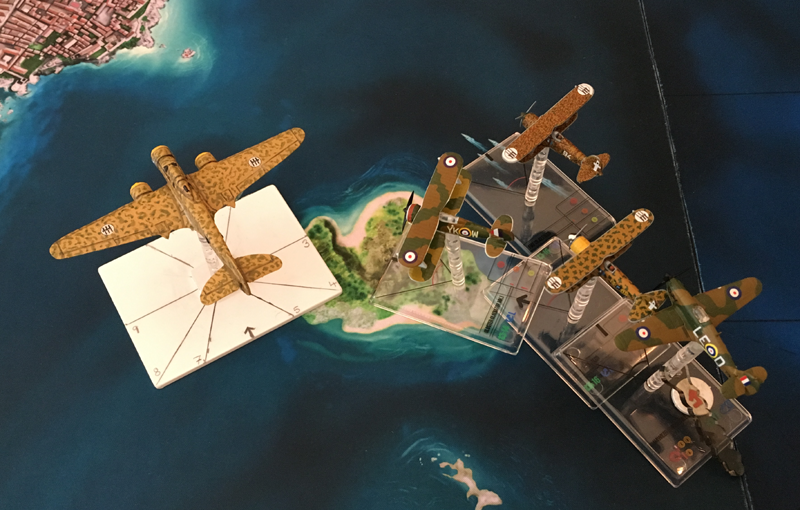 The bombers turned back again towards the hatbour. Cholmondeley continued his attack on Maserati's Sparviero and Sir Price headed in to help him despite the two Italian fighters which opened fire on him. Sir Price continued his attack on Maserati's Sparviero. In a poorly judged turn, Tenente Vittorio Gambetta ended up in front of Cholmondeley's guns. Sir Price continued his attack on Maserati's Sparviero, but the return fire from Maserati's rear gunner caused smoke to erupt from Sir Price's Hurricane. 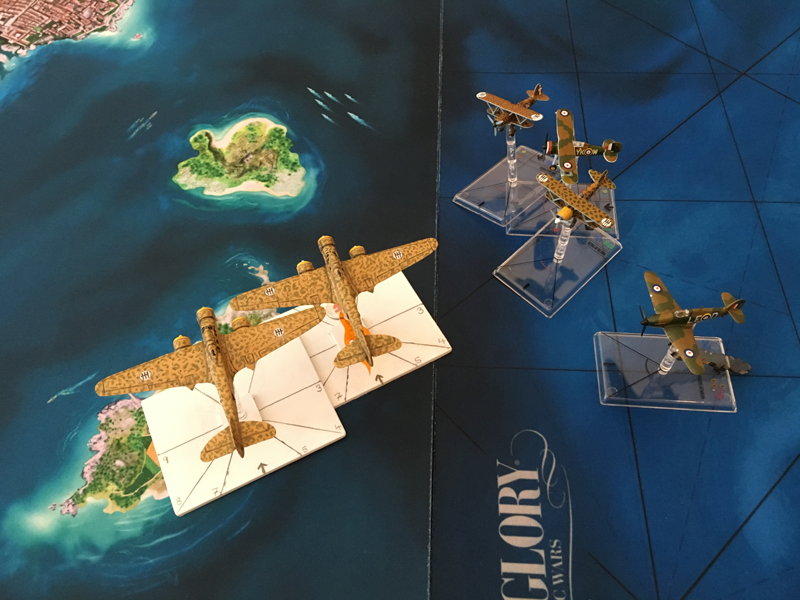 Cholmondeley mixes it up with the CR.42's. 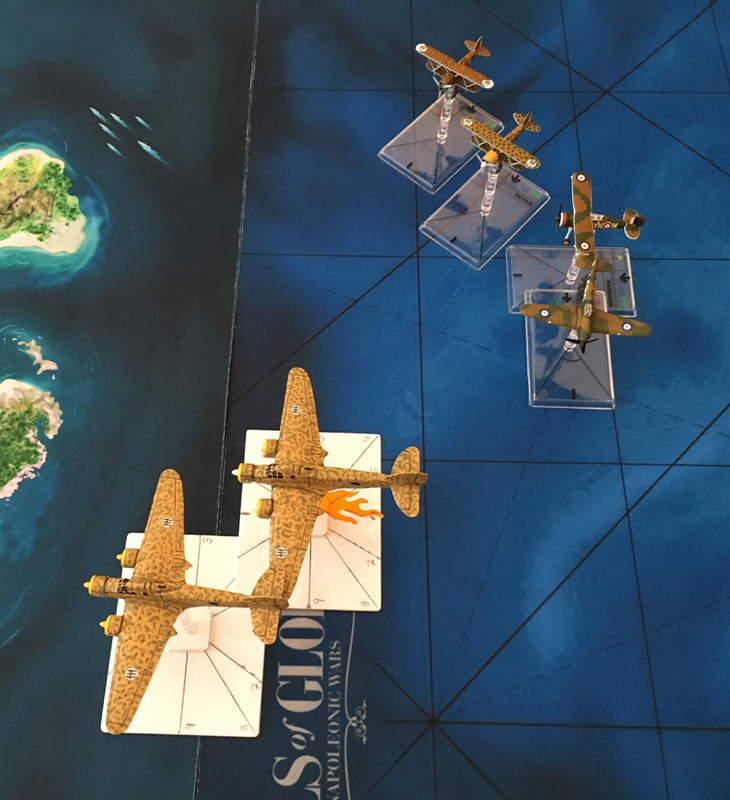 The bomber continued towards their target followed by a gaggle of enemy and friendly fighters. 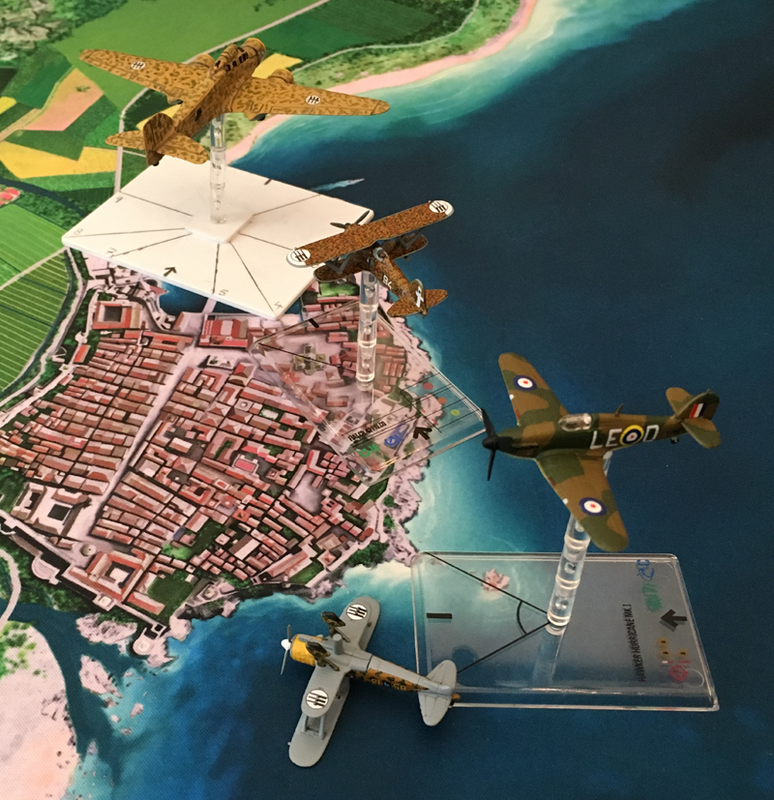 Both British fighters opened fire on Sottotenente Modena Maserati's already flaming Sparviero bomber which couldn't take the punishment any more. 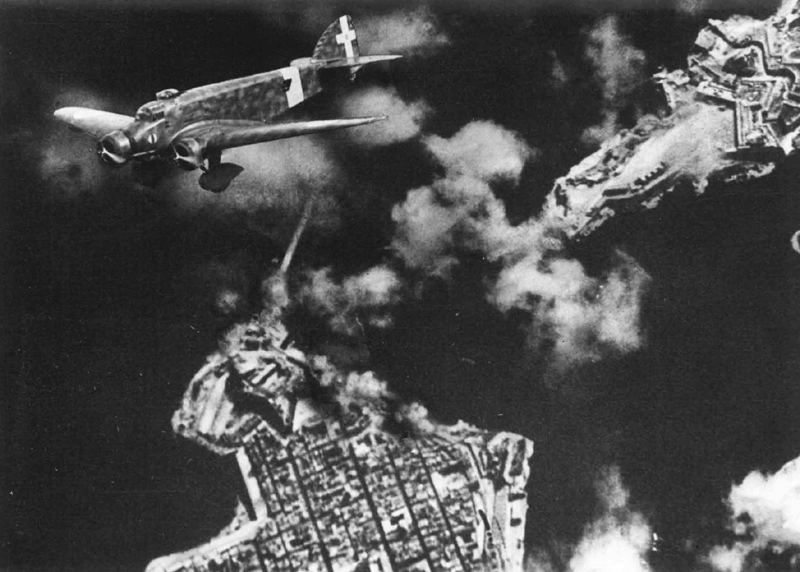 Primo Tenente Silvio Machette conitinued with the mission, pointing his Sparviero bomber at the target. Silvio Machette conitinued with the mission heading towards the target. The fighters behind him tried to sort themselves out. Silvio Machette lined up on the target ready to bomb. The dogfight behind him continued. Cholmondeley's Gladiator had taken a real beating, so he turned away out of the fight. Cholmondeley had had enough. 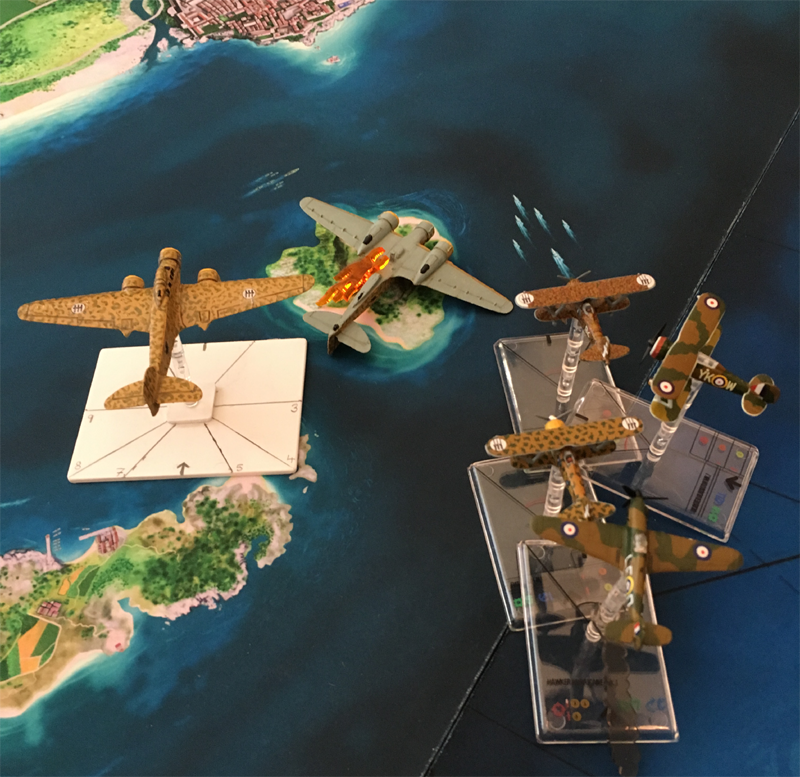 Having dropped his bombs on target, Silvio Machette turned his Sparviero bomber for home. Sir Price placed his Hurricane behind Vittorio Gambetta's CR.42 and opened fire with his eight machine guns. Vittorio Gambetta's CR.42 disintergrated under the hail of fire from Sir Price's eight machine guns. Sir Price was satisfied with his kills; his Hurricane was badly damaged, so he followed Cholmondeley homeward. Tonnato's slow CR.42 couldn't catch a Hurricane even if he'd wanted to, so he escorted the bomber home. 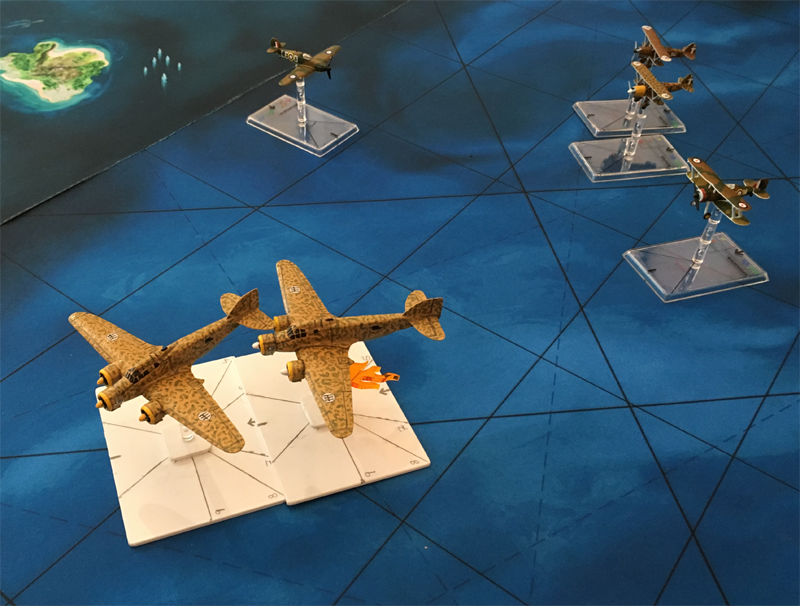 ARES has no Savoia-Marchetti SM.79 Sparviero (Sparrowhawk) bombers so we used the ones from Armaments in Miniature (AIM).